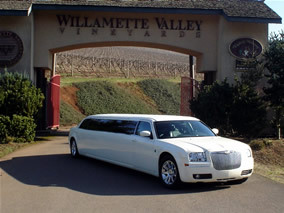 Tour the wineries in style! We offer Oregon wine tours statewide. Relax while one of our experienced chauffeurs whisks you away to the heart of the Willamette Valley’s vineyards in a luxurious stretch limo, Party Bus, Escalade, or luxury sedan. 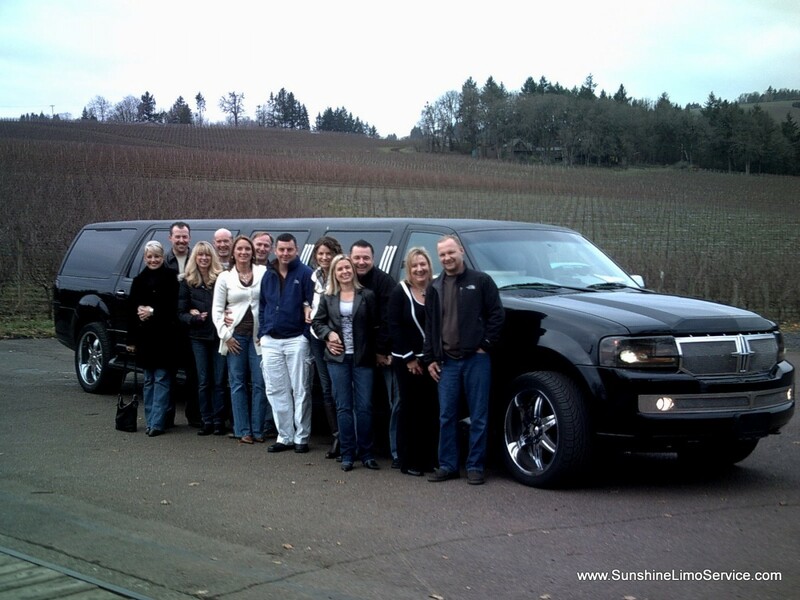 With over 300 Oregon wine tours conducted yearly we offer the best of both worlds: a premium limousine service (not a stuffy van or tour bus), together with a top shelf wine touring experience with an elite Oregon wine tour company. At Sunshine Limo Service we never offer you a “stock” wine tour. All tours include custom itinerary arranged by one of our wine tour coordinators with your personal involvement helping to mold an individual tour experience. We can help you choose the perfect Oregon wine tour for your group. Once you have decided on your wine tour itinerary, we’ll take care of the rest: we’ll make all of the winery tasting room appointments, and arrange the other details of your Oregon wine tour. We offer Oregon wine tours from Salem, Albany, Eugene and Roseburg and Portland – all of western Oregon. We can take you to wineries near Lorane, Dundee, McMinnville, Newberg, Forest Grove, or anywhere in the Willamette Valley, Columbia Gorge, or Umpqua wine regions. 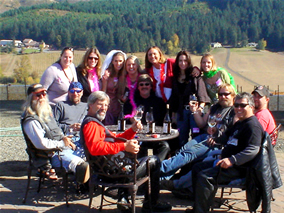 We offer Oregon wine tours from 3 hours to 8 hours or more to all of the Oregon winery regions. We also include complimentary bottled water, soft drinks and lots of ice. We even get you started with champagne and juice on the way out to the wine country! Your chauffeur will also take digital photos along the way, which we will be post on Facebook so you can share your adventure with your friends. Click here for our suggested Eugene wine tours. We offer gourmet box lunches and appetizers prepared in our fully licensed commercial kitchen at extra charge. Your driver will set up your lunch and serve you at a nice spot along the way at one of the wineries. Bon Appetit’! Click to see our wine tour lunch menu. 5 Hour Wine Tour – 6th Hour Free! *Some restrictions apply – Within 70 miles of Eugene. Cadillac XTS-L sedan and Escalade ESV discounts are for Eugene area tours only. Out of Eugene area travel charges may apply. Out of area limo wine tours are 5 hour minimums, pay for 6 hours and the 7th hour is free. Gratuity and fuel surcharge apply to free hours. Tasting room fees are not included.